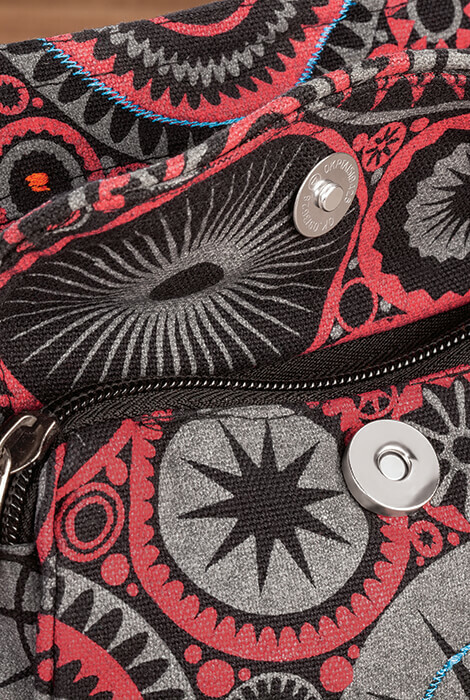 The Vertical Cotton Fanny Pack goes on trend with a modern embroidered look and shape. 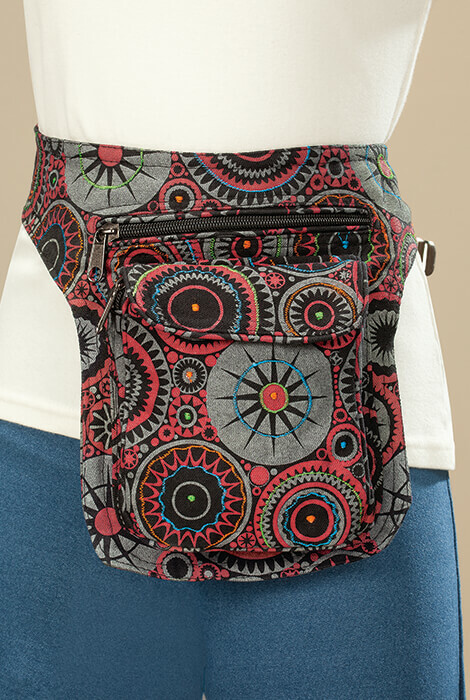 Perfect for travel, shopping, festivals and more, this 100% cotton waist bag features a fun, colorful print on both sides and a vertical orientation. 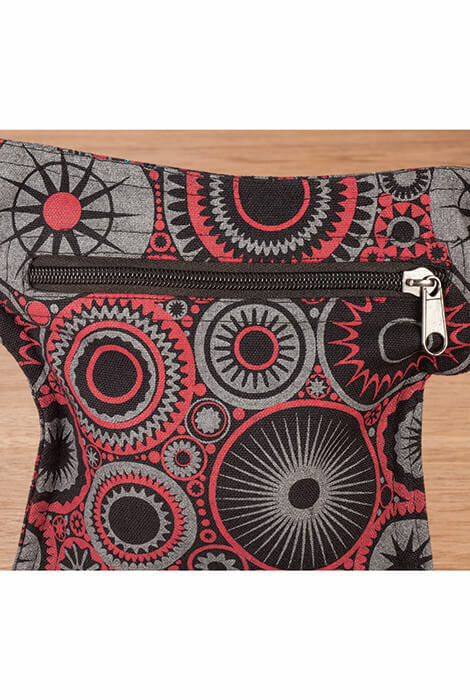 Hands-free organization is easy with a magnetic-snap front flap and zip pocket, larger zip compartment, and comfortable belt that adjusts from 33"–43" to fit just right over any clothing. 7 1/2" wide x 10" high waist pouch.